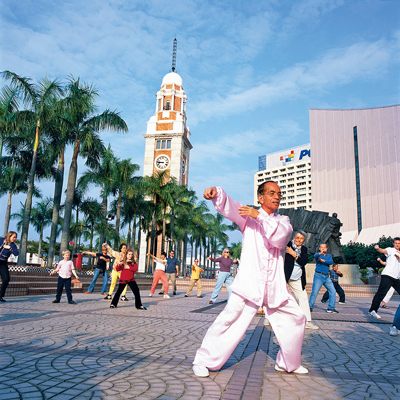 Start your day with a morning tai chi lesson at the Sculpture Court in front of the Hong Kong Museum of Art. Sometimes referred to as “Shadow Boxing”, the traditional martial arts form enhances the balance of yin and yang, and the graceful movements help in meditation and focus. Sifu (Master) William Ng, one of Hongkong’s renowned tai chi masters, has been heading the sessions since 2000. He has even performed for ex-British Prime Minister Tony Blair during his visit to Hongkong. Hour-long classes in English are conducted for free. Just show up at 8am on Mondays, Wednesdays, Thursdays and Fridays and ensure you wear light and comfortable clothing. 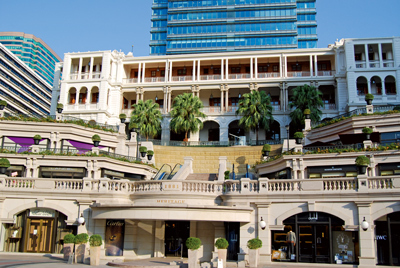 Within the high-end shopping district of Canton Road lies an upscale shopping centre, 1881 Heritage (www.1881heritage.com). Made up of a cluster of buildings constructed between 1881 and 1920, the shopping complex was the largest conservation and revitalisation project completed in Hongkong. The main complex is the Former Marine Police Headquarters. The building was a “declared monument” in 1994, together with the Former Fire Station and the Former Time Ball Tower. Shutterbugs will have a field day with the rich Victorian architecture juxtaposed with the revitalised elements of the shopping arcade. 1881 Heritage is home to international brands including Cartier, Montblanc, Rolex, Shanghai Tang, Tiffany & Co. and Vivienne Tam. Also find exquisite fine dining establishments such as DG Café & Wine Cuisine and Busy Suzie. Hongkong’s heritage and past defines its cultural identity. At the Hong Kong Heritage Discovery Centre, explore the conservation efforts of Hongkong’s archaeological and built heritage and understand why these sites need to be preserved for future generations. 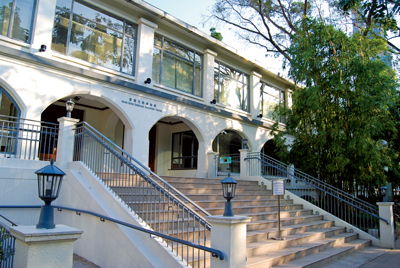 The centre occupies the historic Block S61 and S62 of the former Whitfield Barracks at Kowloon Park built in 1910. They were used to accommodate British troops until 1967 when the land was used to redevelopment for leisure services. Since October 2005, the Hong Kong Heritage Discovery Centre has opened its doors to visitors, offering them access to the thematic exhibition gallery, lecture hall, educational activity room and reference library. While you’re there, take advantage of the free Wi-Fi service. Thanks to the Government Wi-Fi programme (www.gov.hk/en/theme/wifi), Wi-Fi facilities are progressively being installed at government premises. As ofDecember 2009, about 370 public libraries, sports centres, community halls and other premises offer complimentary Wi-Fi. Kowloon Park, Haiphong Road, tel 852 2208 4400. Open 10am-6pm Monday-Saturday and 10am-7pm on Sunday and public holidays; closed on Thursday. Admission is free. Opened in 1902, the Former Kowloon British School is the oldest surviving school building constructed for foreign residents in Hongkong. Local businessman and philanthropist Ho Tung, later known as Sir Robert, donated HK$15,000 (US$1,935) to the government to construct a school in Kowloon. When it opened as a primary school, about 60 students were receiving education. By the mid 1930s, the school expanded, and after a transformation into a secondary school, enrolment hit a high of 300 pupils. Take note of the wide verandas, high ceilings and pitched roofs. Adaptations had to be made to the typical Victorian structure to suit the local climatic conditions. 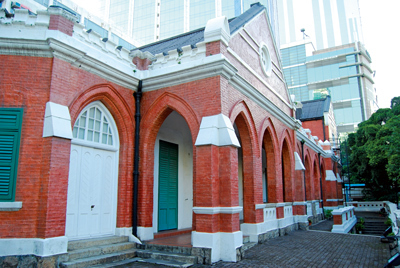 On July 19, 1991, the Former Kowloon British School became a “declared monument”. It currently houses the Antique and Monuments Office. Join the free guided tour every Friday from 3-4pm. It is conducted in Cantonese for up to 25 people. 136 Nathan Road, Tsim Sha Tsui. Open 9am-6pm. Admission is free. 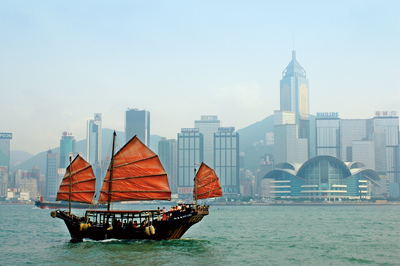 Board the Duk Ling, Hongkong’s last authentic sailing junk, and soak in the scenic Victoria Harbour set against the backdrop of the city skyline. The junk serves as a reminder of its origins dating back 150 years ago, when taipans (foreign businessmen) and opium traders used to sail Hongkong’s waters for trade. It was restored in the 1980s and is now used for private, corporate and commercial charters. The junk takes up to 30 people for tours (HK$50/US$6.50) that last about an hour each. The Duk Ling departs Kowloon Public Pier at 2pm and 4pm on Thursdays, and 10am and noon on Saturdays. 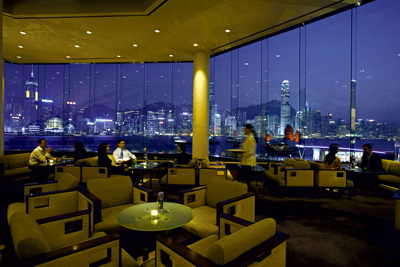 The Aqua Luna (www.aqua.com.hk) serves as a more expensive alternative. From HK$150 (US$19), you get to board a luxurious junk with three photogenic red sails. Lounge on the top deck with a wine, beer or soft drink that comes with the ticket price. Daily trips depart from Kowloon Public Pier hourly from 5.30pm to 10.30pm. On Tuesdays and Fridays, take an afternoon sail with two additional services at 1.30pm and 2.30pm.